Alternative Adverts is a high paying CPM/PPC affiliate program which has been ranked on numerous affiliate marketing blogs as one of the best google Adsense alternatives for bloggers who want to earn money in 2017. Affiliate marketing is one way to make money online though it doesn’t provide millions as you will expect, you can still make a couple of dollars from placing adverts on your blogs. There are a lot of affiliate programs and the best according to popular demand is Google Adsense and this is because of the relevant ads they show and also because they pay for both Clicks and Impressions. But what if you were not approved by Google Adsense? You would need to search for the best alternative. Alternative Adverts is definitely one among AdSense’s best alternative. What I love About Alternative Advert Affiliate Program. Placing Relevant Ads On Your Blog. Alternative Adverts pays you really well for every conversion you make on your blog. You get paid per click (PPC) and for cumulative impressions (CPM). 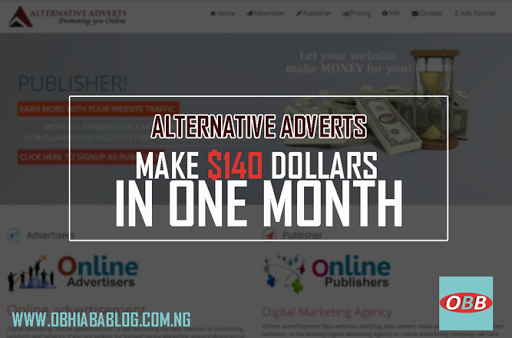 With every click on a banner or link on your blog, Alternative ads pay you $0.1 (31.48 Nigerian Naira). 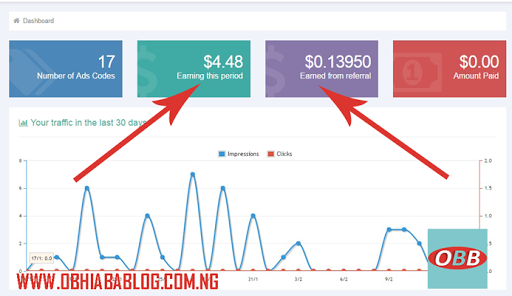 With alternative ads, you can earn up to $140 (44065.00 Nigerian Naira) every month with just having 1k traffic daily. 5% of 1000 page views = 50. 50 (daily clicks) x 7 (number of days per week) x 4 (weeks per month) = 1400 (clicks per month). This means with just 1k pageviews daily you can make more than $140 from alternative adverts. Every affiliate has its downside and alternative ads is not an exemption. The biggest downside is relevant ads supplied. The system is a bit new and doesn’t have much ads type to fit into all blogging categories. Lack of optimized scripts. The banners are not optimized to load very fast thereby reducing your page load speed. Alternative ads provide you with responsive banners that fit well into mobile and laptop devices. e.g. it shows 720×90 on a laptop but it shows 300×250 banner size on mobile device. You can add any banner size of your choice. You can choose from the vertical banners ( 330×600 etc), Square banners (300×250 etc) and horizontal banners (720×90 etc). You can also add a sticky ad banner that scrolls with your blog. And they also provide special pop-ups ads. The dashboard is very easy to use and understand. Plus you get reports few seconds after any click or an impression is made. Want A Template? – Obhiaba Simple Blogger Template. Unlike Adsense, Alternative Ads is really very easy to get approved. You can even get approved minutes after applying. After getting to withdrawer threshold which is set at $50, you can receive your money easily via Paypal, Bank Transfer and Check. If you are convinced that alternative ads is a high paying CPM/PPC affiliate program for 2017, then why waste time reading?. Sign up now and start placing relevant ads on your blog. Using the above link, Go to Alternative ads homepage. Scroll down and click on “Create an Account”. Fill the sign-up form as required. Submit the form and complete every other process easily. “Verify your account” via email. They will email you a link which you will use in verifying your account. You will be redirected to your dashboard after a successful account creation, verification and approval. The dashboard is simple and easy to understand. This part is where you see the summary of everything happening with your ads. You see the traffic chain, a number of ads codes, Amount earn from this period, earned from referral, an amount paid. When you scroll down, you will see “Statistics” which shows you the total ad impression, ad click, ratio of clicks/impressions and also the number of ads. This is where you see the different ad banners on your blog. How they are performing. The ones making more money and the ones not earning. Also, this is where you also create Ads codes. Have a look at the amount you made each day. Fill in your details. Here you can choose which method to receive money either by Check, Bank transfer or Paypal. After your blog have been approved to show ads, it’s time to start earning money. To add ads spots on your blog simply follow the below procedure. On your Dashboard >> “Ads Codes” >> “Add New”. On the next page, type in any Ad title of your choice >> select any suitable banner size. You can choose text, banners, sticky and pop-ups. Click save when done. On the next page, type in your “blog URL” and click save. Finally, it will take you to the code area where you will find 3 sets of codes well explained. Copy any of the codes that suit you and place it on your blog. Alternative Ads codes can be added anywhere on a blog. At the sidebar, Footer and inside posts. Refer to the above-recommended posts for info on how to properly place ads code in blogger. You can easily make more money by referring advertisers and publishers. 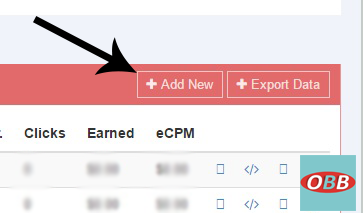 To do this, go to Dashboard >> scroll down to “REFERRAL” and you will see a referral link. Copy and share it. For every advertiser you refer via the link, you earn 3% of the money he will spend while for every publisher you refer, you earn 5% of their monthly income. You can also sell products via links and banners on your Blog using Jumia Affiliate program. It works well with Alternative Ads and no one will ban you for using both programs together. Alternative ads is a high paying Adsense alternative for a blogger who wants to make money in 2017. It is easy to integrate with Blogger and WordPress. It offers both CPM and PPC ads and not only that you can receive your affiliate payment once you reach threshold limit of $50. This money can be transferred straight to your bank account, PayPal or through a check.